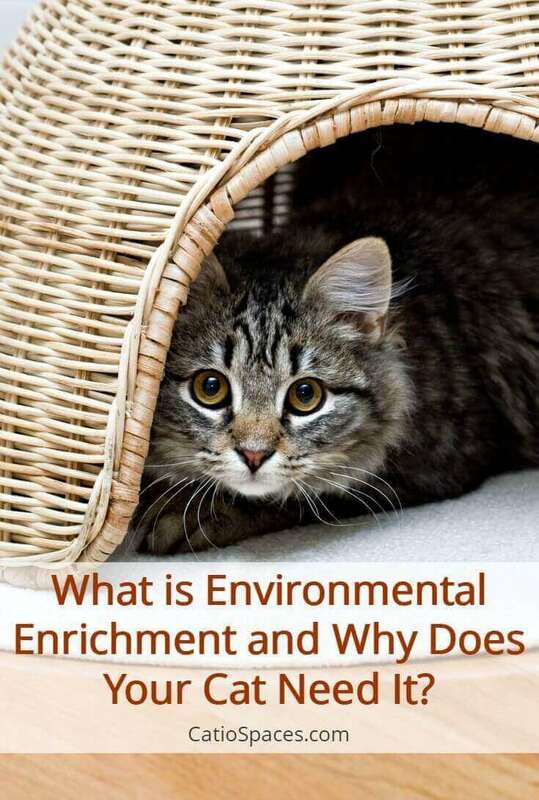 What is Environmental Enrichment and Why Does Your Cat Need it? Cats are constantly interacting with their environment. Even as they perch and lounge in their favorite spots, cats are driven by instinct, perceiving and reacting to everything around them. With far superior hearing and olfactory senses than humans, they are highly susceptible their surroundings. For better or worse, cats are a product of their environment. An increasing number of pet parents are beginning to understand the importance of providing environmental enrichment – optimizing their household environment to nurture their cat’s physical and mental well-being, and, in turn, preventing or treating unwanted behaviors. An enriched environment provides opportunities to indulge in their natural behaviors and feel safe and secure. This leads to a happier, healthier cat – which is all every pet parent really desires. What Makes Up A Cat’s Environment? A cat’s environment is more than the walls, carpets and furniture. Family members, household pets, sounds, scents and routines are an intrinsic part of a cat’s environment, as are the humans and animals that pass by your home. Other key elements of a cat’s environment include their daily necessities such as litter box availability, scratching posts, water and food sources. Providing clean and predictable resources for their physical needs promotes a feeling of security. Cats, like humans, also need a space of their own. 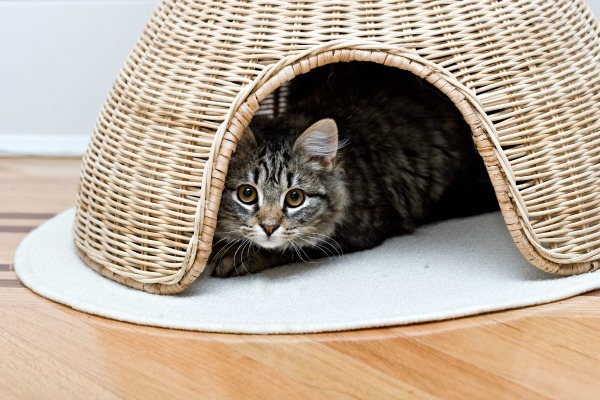 A cat bed, high perches and low hiding spots add to a cat’s comfort. Cat trees and other high spaces, such as shelves and bookcases, expand a cat’s territory, especially in multi-cat or multi-pet households. Since cats need daily stimulation there’s nothing better than play time with you. Regular play allows a cat to expend energy and promotes emotional bonding. Additional stimulation includes toys, cat-friendly videos and soothing music. 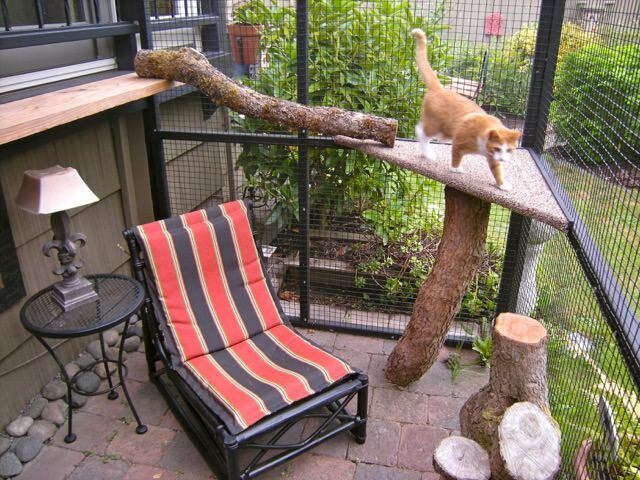 Catios, outdoor “cat patios,” are a growing trend for cat enrichment, safety and stimulation outdoors. 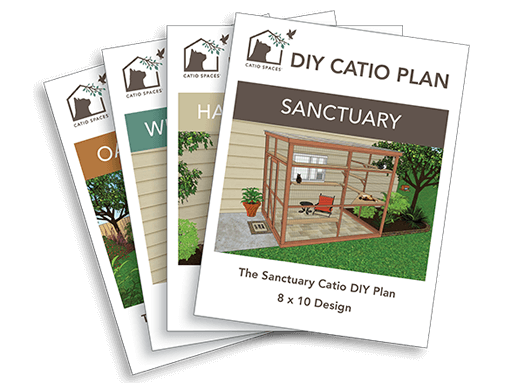 Whether the enclosed space is small or large, there are many benefits of catios including opportunities for bird watching, exercise and catnaps in the sun. For healthy cats, environmental enrichment provides overall satisfaction and wellbeing. More physical activity means more calories burned, keeping a slender cat in shape and helping obese cats shed pounds. Finicky cats can gain a healthy appetite. Stalking and hunting prey (or toys!) are activities that build anticipation and end in reward – causing your cat’s brain to release dopamine, the feel-good chemical that wards off depression – and keeps your cat mentally fit. An enriched environment gives cats plenty of opportunities to indulge in their natural behaviors. Instead of discouraging scratching, climbing, stalking, pouncing and exploring, pet parents can provide appropriate outlets for these activities. Does Your Cat Crave More From Their Environment? A lack of environmental enrichment can manifest in unexpected ways. Scent marking is a common way cats express stress. They may spray urine or scratch surfaces with their claws as ways of staking out boundaries, perhaps to establish control in an environment that makes them feel anxious or vulnerable. 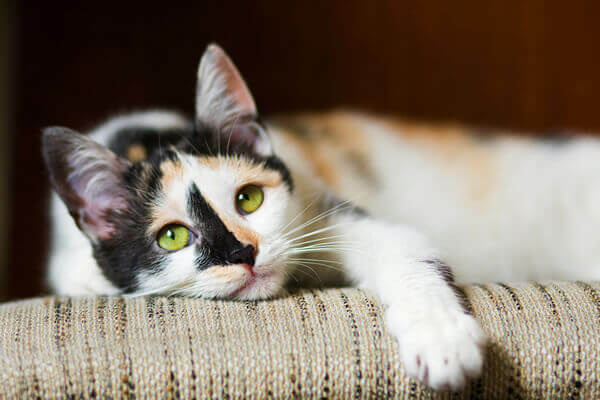 Many elimination issues can be resolved with a change in litter box setup or by simply reducing the cat’s overall stress level. Many pet parents react to undesirable behaviors by punishing their cat, but this proves to be ineffective and only creates more stress, leading to intensified stress-related activity. By understanding the underlying reasons for unwanted behaviors, pet parents can find effective, humane solutions. Cats possess heritage as both a predator and a prey species. They’re content when their environment allows them to be watchful, with secluded spots in which to hide from any perceived danger. If a cat feels unable to escape from danger or unable to act out on their natural instincts, they can become physically ill. Feline bladder infections, surprisingly, have been linked to stress, though diet and water intake are also factors. Cats tend to under-eat or refuse to eat at all when they’re stressed or under-stimulated. This can occur when they never have to work for their food. Vomiting can occur due to stress-related overeating, or from anxiety-induced indigestion. Naturally, weight-related issues like diabetes and heart disease can result from inactivity. Most houses and apartments are designed for the comfort of human beings – not cats. But you don’t have to replace your couch with a giant cat bed to compromise with your feline family members. Environmental enrichment can meld with your decor, or even enhance it. If you’re creative, you can add enrichment that is both stylish and functional. Besides, nothing brightens a home like a happy cat! How do you provide environmental enrichment for your cat? Is Cat Conflict an Issue in Your Home?